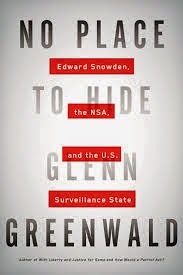 No Place to Hide: Edward Snowden, the NSA, and the U.S. Surveillance State by Glenn Greenwald was an interesting book from the writer who Snowden provided untold numbers of classified NSA documents for Greenwald to publish stories on. The book feels to be split into thirds, with the first two chapters about Greenwald and Snowden and their lives intersecting (as a result of Snowden reaching out to Greenwald), chapters three and four being on the surveillance of largely U.S. citizens done by the NSA and then chapter five containing Greenwald’s thoughts on the response of the media to Snowden as well as Greenwald when the stories began to publish. I did find myself skimming the two middle chapters on data the NSA collected, but all in all, it struck me as a good read, especially for anyone interested in the role of government as well as that of journalism in our society. I found particularly noteworthy the final chapter in which Greenwald wrote of both Snowden and he having their characters impugned as an attempt to discredit the sources of the information, and distract from an examination and discussion of NSA surveillance and its legality.